Wow, what a summer it has been, presenting the TV series to mark the Historic Sports Car Club’s 50th anniversary. That’s it for the series now, having covered the motor racing at Castle Combe, Brands Hatch, Croft and most recently, Oulton Park. The action has been varied, ranging from pre ’66 Formula One Grand Prix cars, to the late ’90s Super Touring Cars. And thanks to series like the ’70s Road Sports, we’ve seen door handle-to-door handle racing, which has been thrilling to present. 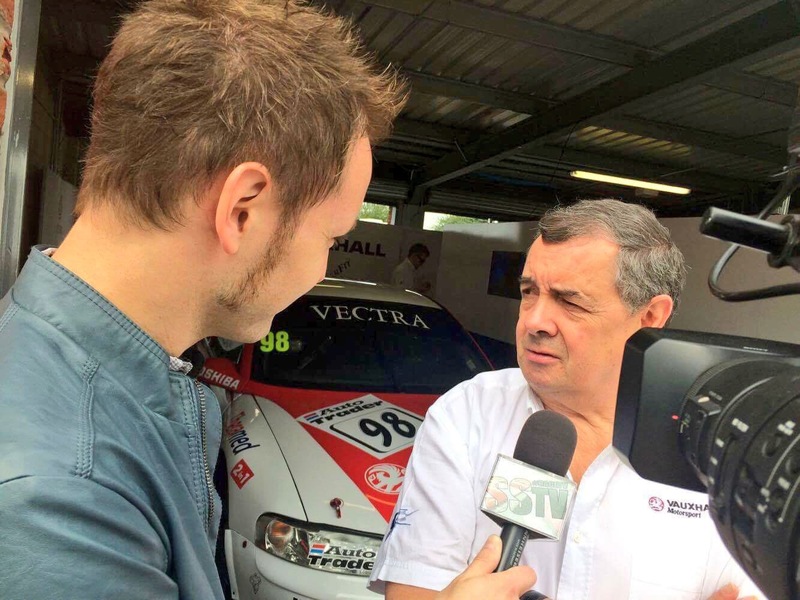 The highlight of the season for me has to go down as interviewing touring car ace from my childhood, John Cleland. He races the Vauxhall Vectra Super Tourer that he campaigned as a works driver in the ’90s, and he’s still just as much the character I remember him being. Cleland’s passion for the Super Tourers is clear to see, and he still provides great entertainment on, and off the track. Though he doesn’t quite have the staff he used to have as part of the factory team, and I even caught him shaving the surface of his own tyres at the lunch halt! When I was a young boy, motorsport captured my imagination, and my heart. My life has rung to the tune of racing like that enjoyed by the British Touring Car Championship over the years. So to line up alongside one of the greats from that era was surreal. You’ll be able to watch the two most recent rounds; Croft and Oulton Park, on September 17th and 24th respectively. In the meantime, you can watch our last SSTV programme, with all the action from the Brands Hatch Super Prix, HERE.